maemo.org - Planet maemo: category "feed:09a4454142a8f9896476d4036a03e6ea"
Implementing GTK+-widgets and other GObjects in C requires quite a bit of boilerplate code - that's hardly news. One obvious way to deal with that is to use a different programming language. If you're into C++, I can recommend the excellent GtkMM C++-bindings for GTK+. Programming GtkMM feels very natural and follows the C++-idioms; it's easy to integrate with std:: and friends. Also, it's LGPL and pure C++. Another option is Vala. If you haven't heard about it, Vala is a programming language in its own right, with similarities to C#, but specifically designed for use with GObject. One very interesting thing about Vala is that it compiles to plain C-with-GObjects (as an intermediate step). Thus, you write in Vala, with no 'libvala' needed, with code which is just as fast as handwritten C. Vala also supports many other libraries, which can make them easier to use, compared with plain C. Using Vala, writing GObject/GTK+-based applications becomes a lot easier. Vala Overview. Finally, my truly low-tech solution is spuug. Spuug is a little GObject code-generator that I wrote in 2006 to learn some Ruby, and to save myself some time. And boy, has it saved me some time! Now, finally a new version. The credit for this go mostly to Viktor Nagy (many thanks! ), who submitted some patches. will generate funky-foobar.c and funky-foobar.h with 150 lines of boilerplate code, as a starting point for some FunkyFooBar-widget. Of course, spuug works well for Maemo-code, and I know of a number of programs that are using it. There are of course some disadvantages to using code-generators. But the advantage of spuug is that it doesn't require you to learn any new language. Also, after using it, you're not depending on spuug - the output is perfectly readable C code. So, after three years I finally made a new version ttb, my teletekst viewer, which is especially interesting for Dutch-speakers and linguisticly-inclined people studying West-Germanic languages. The new version brings user-help and some cosmetic updates. The program is listed as the 'official' client for Linux by the NOS (state television), and I'm getting quite some mails -- but interestingly, not one single bug in three years. To be honest, there is a bug remaining: there is too much bad news in the news section. I am working on that one, but it might take a while. I am also preparing a Maemo-version. Interestingly, I had a version running on an 770 in early 2005 at LinuxTag, but I never got to packaging it. 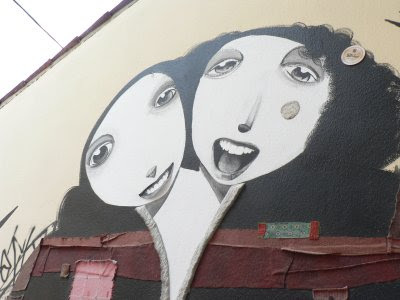 Anyway, the work has to wait until after my trip to a friend's wedding in the Eternal City of Rome, where I'll be flying. As if all of that were not enough, I started a blog with tips for emacs-users; the idea is to have frequent small posts that show one useful trick: Emacs-Fu. Let's see if I succeed. Sometimes, I like to use mathematical notation in webpages, either to impress people or simply for decoration. 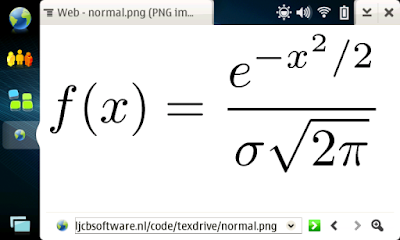 One way to do that is MathML, which is an XML-based markup language for mathematical notation. However, many browsers do not support MathML at all, or require you to download plugins and/or special fonts. Another problem with MathML is that XML is a really inconvenient format to edit by hand. Practically, you'll need some kind of formula editor. Most of us are not Donald Knuth, and indeed need to test our software. That is even true for my hobby projects - when I offer software for use by others, it's a matter of craftmanship to deliver the best software possible. It's very hard to foresee all the possible environments (architecture, compiler, library version, ...) where my software might be run. But at least, I can minimize the number of programming errors by testing things as much as possible. and have that go through all my test cases, and report any failures. The idea is that if it is so easy to run tests, you might actually do so, and make sure your software is working according to plan. When doing a release, it is so easy to forget something really obvious, for which you get embarrasing bug reports... Running some automated tests gives some peace of mind when doing a release. I released mu 0.4 (my e-mail indexing/search tool), and as always, I try to learn things from it. 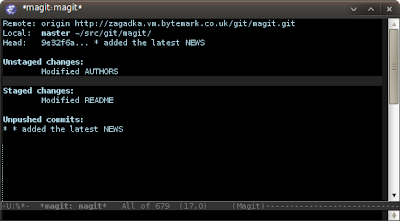 Today just a short tip: if you are using emacs and git, I can recommend magit. Magit is a git-mode for emacs, which makes using git convenient and easy to use. Magit was created by running mate Marius. It's under heavy development, but I have been a happy user for while. There is even a user manual, which you actually don't need very much, as things work very much as you would expect. If you are not using emacs, this might be a good reason to start. In my last entry I wrote a bit about optimizing my little project. One other significant optimization I found was inode-sorting, from an idea I got from some old postings on the mutt mailing list. The idea is as follows: some file systems, in particular ext3, support hashed b-trees to speed-up lookups in large directories (paper). That's nice for finding particular files. However, as a side-effect, when you scan full directories (as mu does when indexing), you might get the entries back in a rather chaotic order. If you then try to open the files in that order, you suffer from long seek times, and consequently, bad performance. The solution is to sort the dir entries by their inode (in ascending order), and then open the corresponding files in that order. This is what mu (mu-index) does by default, starting with version 0.3. You can turn it off with --tune-sort-inodes=0, but there is usually little need for that, as the overhead of sorting is negligible. So, what difference does it make? Answer: it depends on how the files are laid out; if you already get your files back in their 'natural order', there won't be much difference - this is what happens on my main machine. But, on another (old) machine where the files are not in that order, the improvements are substantial: I found that indexing 1500 message in 25 seconds without inode-sorting, goes down to 15 seconds with inode-sorting; a nice 40% improvement. Note(1): this works for ext3 directories with dir_index enabled; there's a HOWTO. There are other file systems that have similar features, but I haven't tested those. Note(2): This optimization is not very useful for flash-based file systems, as they don't really care in what order you open files. As discussed before, I am working on a little hobby project called mu, for indexing/searching e-mail messages in maildirs. As a true hobby project, it's about finding things out. I'll take notes as I go along. One important part of indexing and searching is.... indexing. Indexing (in this context) is the operation of recursively going through a maildir, analyzing each message file, and storing the results in a database. In mu's case, there are actually two databases, one SQLite-database and one Xapian-database (a really interesting tool - to be discussed later). Indexing may take a considerable amount of time; mu version 0.1 took 192 seconds (on average) to index 10000 messages in my testing corpus. And this version did not even support the Xapian database. Indexing involves reading from disk, querying the database to see if the message is already there, and if not, storing the message metadata. Because of this scheme, re-indexing of the same 10000 messages only takes about 5 seconds (with re-indexing, only modified/new messages need to be indexed). 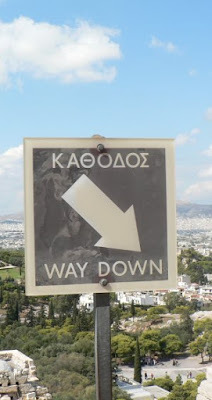 It's been a while since my last blog entry... I haven't done much work on modest lately, but it is in safe hands. I did start a new little hobby project though; it's called mu, and it's a collection of command line tools to index / search e-mails stored in Maildirs. It doesn't run on N8x0 (yet), but I guess it wouldn't be very hard to port it. Of course, this kind of software has been written before - but for a hobby project, that does not really matter. It's all about trying things out. "Reasonable people adapt themselves to the world. Unreasonable people attempt to adapt the world to themselves. All progress, therefore, depends on unreasonable people.". It's great to see the improvements in the modest e-mail client. For most people, there should be little reason still to use the old email client. Great thanks to all involved -- my friends from Spain, Belgium, Germany and elsewhere; Vivek, Mox, and all users, contributors etc. It's good to mention contributors sometimes; I found the CNN Money-article about the N810 development team a bit off-balance in that respect - it would have been nice to include some people who write the software, too. Anyway, back to modest. I'm sure that someone, somewhere is missing some feature that is essential to them. While usability and feature-richness are not necessarily conflicting, in practice they often are (I know, I'm a mutt-user!) But, no excuses -- in my (slightly biased) opinion, it's a nice little e-mail client and a great improvement. And with the code being open and free, there is nothing stopping people from firing up their favorite text editor and start hacking on their missing pet feature. Just a short note: due to an unfortunate regression, Modest (version: W16 release) does not work with SSL/TLS, breaking providers such as Gmail. See bug 3084. The reason was that what we tested with, differs slightly with the Chinook environment, and so this one fell through the cracks. Mea culpa... Anyhow, the problem has been fixed. If you build things yourself, get the latest (tinymail and modest) and all will work fine. If you don't want to do that, you'll have to wait until Monday; unfortunately, we can't do anything before that. Once more, apologies from the Modest team for the inconvenience. These are interesting times... I just found out that the next revision of our internet tablet will have WiMAX-support. Rest assured - modest will support that as well. Also, recently I have been studying the (very much recommended!) work of Edward Tufte, on the visualization of data, and how modern technology is great at obfuscating real meaning behind snappy graphs. Still people are trying to generate meaningful (or sometimes just pretty) pictures out of masses of data. One of the masses of data being email messages. Check these great post on FlowingData which show many different visualization of email data. 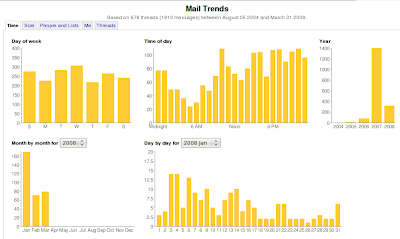 For a more practical example, look at MailTrends, which analyzes the emails in your Gmail account for your. I was very happy to see prebuild Emacs packages for Maemo. I wonder if my instructions are still valid, especially regarding key-bindings on the N810. Anyway, I'd be interested in the next steps in integration Emacs with the platform. I'd like to connect the HW-zoom buttons to zooming the fonts in Emacs, and maybe marry the emacs-server setup with the application menu -- ie., don't use new emacs instances for new files, but instead use new buffers in the existing instance. Now all I need is a little time.